Winter nail art challenge: snow | Light Your Nails! Grazie mille! E poi è davvero carino oltre che buono! This manicure is a perfect winter mani. I love the simplicity of the contrasting colors and the stamping is heartwarming. Very pretty! I'm so excited to start doing Winter- themed nail art. That plate looks amazing, I would love to get my hands on one :) Love your manicure! Love the snowflakes on this plate. Super cute mani! SO cute! Great pick for the challenge! this is really festive without beating me about the head with christmas. I love it. This is a lovely take on the theme snow! 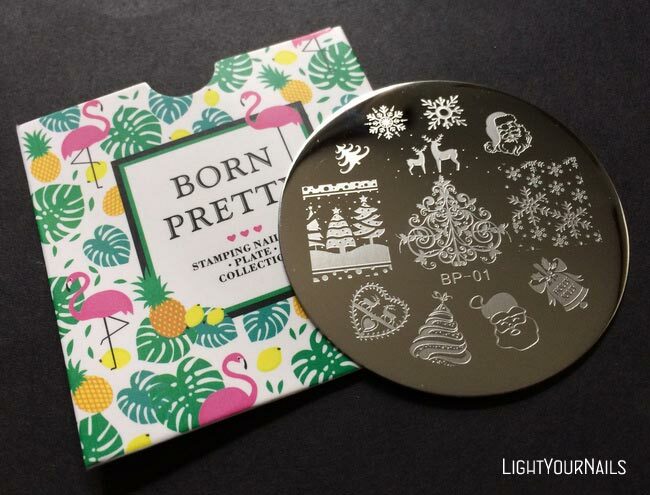 That is such a great stamping plate! Love how you used it! Thank you Kerry! That's a lovely holiday plate indeed! Thank you Katherine! It's really worth having! Il calendario dell'avvento con le tisane è GENIALE! The plate is fabulous! I bet this would look awesome in blue and silver too. Definitely agree! Blue and silver is such a great holiday combo! This mani absolutely fantastic for winter!